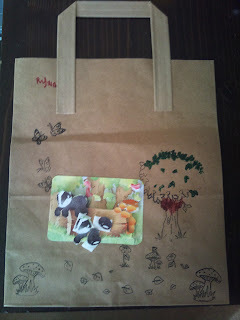 Little Red decorated a bag this week at Craft Club. The picture of the badgers is also 3-D. He loves going to Craft Club. 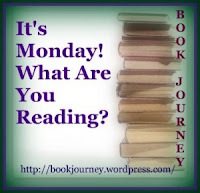 I have a couple of things I want to review this week. First of all is a book we got from the library. We loved it that much that we have ordered a copy for us. each page covers a different letter. On the first page is the letter A.
begin with the letter A. Then it's time to spot & name the things. spotting things and seeing what we missed. Little Red loves I spy so this book is perfect. I used to have a dyson, till I blew that up. I then got a reconditioned Vax but I blew that up as well. I really didn't like the Vax but the Bissell seems a lot better. Filters are all washable & don't need to keep replacing. Safe for all carpets and hard floors. Hubby has used it the most as I'm not very well at the moment. It seems to have done a really good job. The suction is fantastic and you can tell it's done a really good job. the parts fit well and don't fall off all the time. They are really easy to fit and swap. It is picking up the dog hairs really well & the mud and dust that goes with the dog. The compartment that holds the dirt and dust isn't very big. to carry it to the bin. When you take it out of the hoover the top is open. As you know I love this series of books. & their life at the Vampire Academy. I am hooked. I even ended up crying when reading book 2 Frostbite. Thanks ever so much! it is really good! Thanks for having inspire me Monday.